Transitions rarely come easy. Just ask Matt Kagan, an assistant coach for the women’s soccer team, now entering his second year at Miami. “It was just a tough spring, a tough transition,” he asid. Kagan, head coach Tom Anagnost and the rest of the soccer staff took over a program a year ago that needed some time to get used to their changes. And the new regime knew it was going to be a bit of a struggle. Jordan Roseboro, a freshman, would probably agree. The Canes’ (10-8-1, 3-6-1 ACC) newfound dedication to “discipline” and “accountability” earned them a trip to the NCAA tournament where they reached the second round for the first time in program history, beating Alabama at home in double overtime before eventually losing to Long Beach State 0-1 in California. A big part of Miami’s success can be traced back to the arrival of Anagnost, who led the Central Michigan Chippewas to an impressive 40-12-7 record and two NCAA tournament appearances during his three-year tenure there. Anagnost’s toughness seems to have rubbed off on the rest of the team already. In his first year as the head coach, the team played in three overtime games and one penalty shootout resulting in three wins and a tie. But while last season was certainly successful for a Miami team that has to compete in arguably the strongest soccer conference in the country, the team’s motto might be indicative of things yet to come. 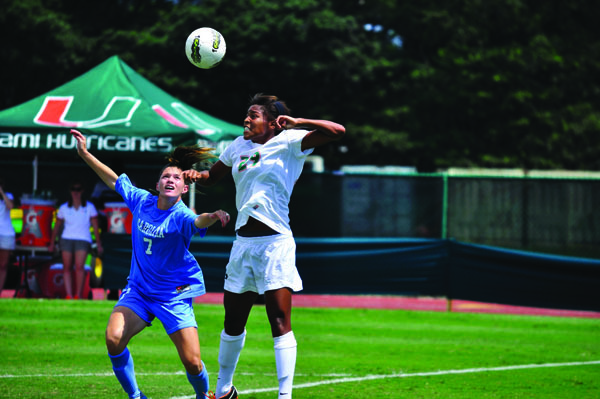 Roseboro, who plans to play professional soccer in Australia after her last season at Miami, is at the forefront of this new notion to constantly improve.